Michael is a graduate of Brigham Young University with a degree in German Teaching and a minor in Music. He puts his German to good use by working to build online German courses for High School students. Though he grew up traveling the world with his military father, he now lives in Utah with his wife, Jen, and his two sons. Michael enjoys acting in community theater, playing and writing music and spend­ing time with his family. He played for several years with the handbell choir Bells on Temple Square and is now a member of the Mormon Tabernacle Choir. His first book, The Canticle Kingdom, was released in Feb 2010 through Bonneville Books. 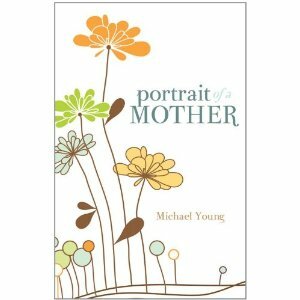 Is is also the author of the inspiration short story "Portrait of a Mother". He has also had work featured in various online and print magazines such as Mindflights, The New Era, Allegory, and Ensign. Synopsis: When a young blacksmith s apprentice named Johann discovers that his homeland is contained entirely within a small music box, it s up to him to protect the only home he s ever known. 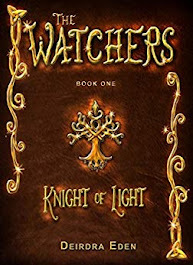 With the help of an impossibly ancient knight, his best friend, Brigitta, and his trusty homemade sword, Johann races to find the only people who can who can stop the dark power that threatens to destroy the Canticle Kingdom an unsuspecting family and an old woodcarver from the outside world. Enter a world full of magic, danger, loyalty and bravery in this exciting debut from Michael Young, and discover that even the most ordinary objects and people might be hiding something truly wonderful inside. Michael: In high school. I had a really great writing teacher, who was also named Mr. Young, and I thought I would try my hand at writing a novel. I finished that one and thought that I should just keep going. Michael: I do not have any formal writing education outside of the many writer’s workshops that I attend, but plenty with my YA audience. I got my teaching license and a degree in German and Music teaching. Michael: The thrill of taking something from an idea to a physical creation that can be shared with others. It almost feels like a magical process. 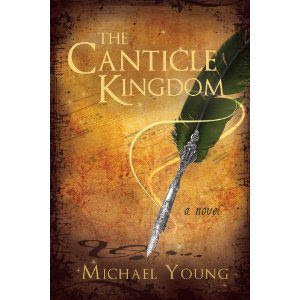 Michael: I wrote “The Canticle Kingdom” during my second year of college, and while I was there, the college had a publisher’s fair where students could come and talk with local publishers. I found my future publisher there when I was able to pitch the story to them face to face. Michael: Quite a bit. Writing is a long and often thankless process, measured in months and years. One way that I overcome discouragement is to go enjoy some other wonderful creative work that someone else has done, whether it is a book, a movie, or a piece of music and help that motivate me to continue and do the best that I can. Michael: Writing is something that I do all the time to fill in the cracks. I bring writing material everywhere and write wherever I can. I also try to get in some good time at night after the kids go to bed. Michael: Ideas R Us. No, I wish it were that simple. Usually some little thing that someone will say or do sparks an idea that I have to go write down immediately. The only way to figure out if the idea has legs, as they say, is to try to turn it from an idea to an outline. If I manage to pull off an entire outline, then it could be worth doing. Deirdra: Can you tell us a little about your book The Canticle Kingdom. 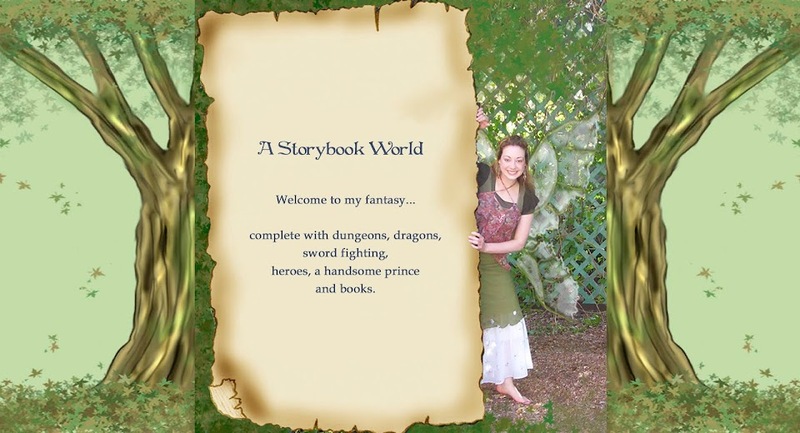 Michael: This is my debut novel and is a YA Fantasy. It is about a kingdom of people who live inside a music box, but do not know it yet. The box gets passed around in our world during the 1940s and some people who hear the music coming from the box are taken in and become part of the kingdom inside. I’m working on making it into a series, probably a trilogy. Deirdra: I noticed a button on your blog called "Man Cave Writers". What is that about? Michael: The Man Cave is a blog by me and four other male authors where we blog about the life of being an author, especially coming from a male perspective. It’s relatively new, but we’ve got some great contributors, including Frank Cole, Dan Harrington, J. Lloyd Morgan, and David West. Michael: I usually try to have seven or eight. I get a pool of more than that, because I realize some people might not see it through. I would highly recommend it though to anyone who is preparing their manuscript. Michael: Above all, I hope that my books will stimulate the reader's imagination, and provide them an escape from the normal world and its constraints. That's what a good book does for me. Michael: I've gradually become an outliner. I don't like to hash out every single detail, because I like there to be some element of discovery in writing, but I do like to have what I call "fence posts". I usually sit down before I ever read a chapter and go to the book chapter by chapter and decide what major events need to happen. I find this way that I'm able to write much more quickly and with far greater confidence. Michael: you know, I find that as long as I outline my story first, I don't run into much writer’s block. However, for the times that I do experience it, I just shift gears and work on a different project. I always have a handful of projects I'm working on at the same time, so that I can go back and forth if one is starting to feel stale. After working on something else, I could usually go back to the original one with fresh eyes. Michael: absolute quiet is not something that happens a lot around me. Luckily, I don't need it. I grew up in a household with 10 people, and I can just filter out background noise. I do also like listing to music when I write, especially something like a movie soundtrack that evokes particular feeling so that I can incorporate that feeling into what I'm writing. Michael: A lot of music, especially music without words. It's more about the feelings and the images I get when listening to a specific kind of music. I also find my inspiration in the little quirks I observe in other people and the strange things that happen in day-to-day life. I find that it is easy to borrow from life without exactly copying it. Michael: I'd have to say my wife. She's been very supportive of my writing pursuits, and has more than anyone to help me find the time to write. She also reads every one of my books and gives such great commentary. It would be so much harder to be motivated to write if I didn't have her support. Michael: Drawing from things you see in real people without cloning them. Take a funny habit from someone, give them the speech pattern of someone else, the interesting physical marker of another person, or any combination of those things. That way you have details that make characters memorable because they feel real, but nobody gets offended because you put them in your book and got them wrong. Michael: I have great respect for LDS fantasy authors who have made it big in the national markets, such as Brandon Sanderson and James Dashner. They give me hope for the future. They also become popular without including inappropriate content in their books, which proves to me that it can be done, despite what some people say. Michael: I actually try not to eat when writing because it gets crumbs in the keyboard. On occasion when I do, popcorn is the name of the game. Michael: I’m big into music and theater. I play the piano and organ, have been in several English handbell choirs and now sing with the Mormon Tabernacle Choir. I like to try to do one theater production every year, especially musical theater. Michael: Be patient. Don’t rush things and get as much feedback as you can before submitting. Make big goals and break them up into smaller, achievable goals that you can stick to daily. Michael: I have a few manuscripts in the revision phase and am working on finding an agent. I’m especially excited about a YA manuscript about a boy who swallows a magical stone that falls from the sky when his is two and as he is growing up, he can’t control which dreams stay in his head and which leak out into reality. I’ve entered it into the Amazon Breakout Novel contest and it just passed the first round from 5,000 down to 1,000, so I’m excited about that. Michael: I’m always looking for ways to help others learn to better. I’m a teacher by profession, and love to visit schools, libraries, conferences, whatever the venue. 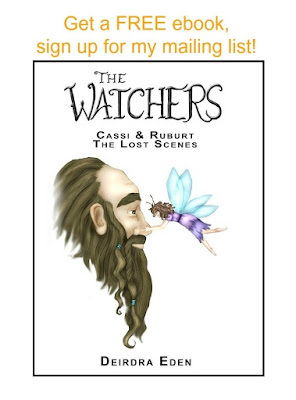 I also have a program for aspiring writers on my blog to help them get pointed in the right direction. Feel free to write to me at thecanticlekingdom@gmail.com with anything I can help with. It only makes sense to try to pay it forward for all the help I’ve been given. And for all you writers out there: stick with it! You've only failed as a writer if you cease to write. Great interview as always, Deirdra!! I loved the MAN CAVE BLOG thing - books looks cool. I took German for 5 years so I could study in Austria - got accepted and then Jim asked me to marry him and I never made it to Austria. Forgot most of my German too. Dang. Great job!! Awesome interview. Can't wait to add this to my TBR pile. Really enjoyed this interview. You asked all the questions I would have,if I had been the interviewer. I'm always particularly interested in hearing various writers own process for writing (do they outline? where do they write?) and obviously the tricks and tips to their success in getting published. Great stuff - thanks! Informative, fun interview, Michael. I'm curious how an author gets so many beta-readers. Did you start out with one, then add? My thanks to Diedre for featuring Michael! I love this interview, and I LOVE YOU! I really enjoyed The Canticle Kingdom and Portrait of a Mother. I'm excited that Michael has a new book coming out. Thanks for reading everyone. I'm glad you enjoyed the interview. As for Beta Readers, I mostly use social media to reach out to people and then draw from the pool of people who express interest. Excellent interview! Michael Young is not only an wonderful writer, but a darn good person. His upcoming book, The Last Archangel, is amazing. It's due out soon, so keep an eye out for it!